Sanctuary for Compassion and Connection | How Does Clarity Direct Neurofeedback® (CDNF) Work? The applicability of Clarity Direct Neurofeedback® is very broad. Clarity Direct Neurofeedback® is an extremely low-strength electrical current that is effective in reducing symptoms in a wide range of conditions, such as anxiety, depression, post-traumatic stress disorder and developmental trauma, and panic attacks. Although the conditions that improve have very different causes, there is one common denominator: they are stuck in dysfunctional patterns. Direct neurofeedback sends a tiny, imperceptible signal to the brain that causes a slight fluctuation in brain waves. This fluctuation allows the brain to reorganize itself and get out of frozen, stuck patterns, like re-booting a frozen computer. In other words, direct neurofeedback creates a “disruption” in the stuck patterns regardless of origin, and allows the brain to either return to its “factory specifications” or begin creating new, healthy patterns. This coincides with the tremendous amount of research demonstrating a newly discovered “neuroplasticity” in the brain. Clinical studies support the effectiveness of direct neurofeedback and so have the results of the people who have already been treated with direct neurofeedback. Of those treated, the vast majority experienced initial improvement in the very first session and achieved significant and enduring relief after the full treatment protocol. The initial improvements are temporary, lasting from a few hours to a few days. With further treatment, improvements endure. An average of 15-20 sessions is needed as part of the initial, full treatment protocol. Treatment is not necessary on an ongoing basis; however, it is recommended that additional treatments be provided every 6 months on an on-going basis, like going to the dentist twice a year. 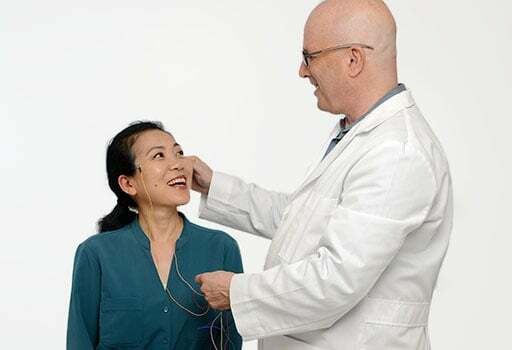 After the initial full treatment protocol, this semi-annual, one-session direct neurofeedback treatment provides the brain with a mental tune-up, similar to how regular dental examinations provide the gums with a teeth cleaning.